We are more than Happy to come out to your sight and do a job site audit and walk through with you. Walkthroughs are done by one of our team members, and they will have a checklist type Audit easy to read with any suggestions to make the sight, a more safe and healthful workplace for you and your employees. The audit will be reviewed with your onsite supervisors and it will be forwarded to your management as soon as it is complete to save you time and money. We understand how difficult it can be to balance production and safety, so we will be prompt and careful not to disturb your employees while working. 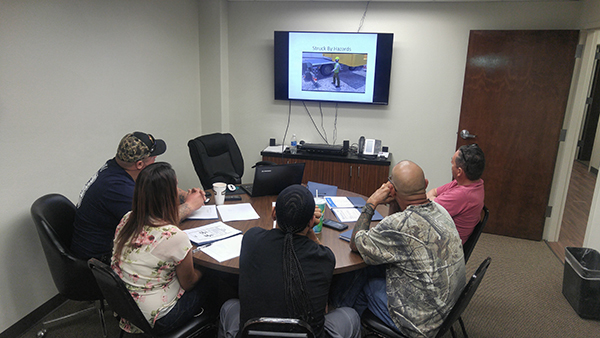 We also offer onsite safety training and safety meetings any time of the day you would like to hold them. With today’s training needs and circumstances that arise, our prices vary to suit your best need. We offer baseline pricing for one on one student training or groups of 10 or less. We can also offer one on one prices to meet with your employees at the job site or office after hours. 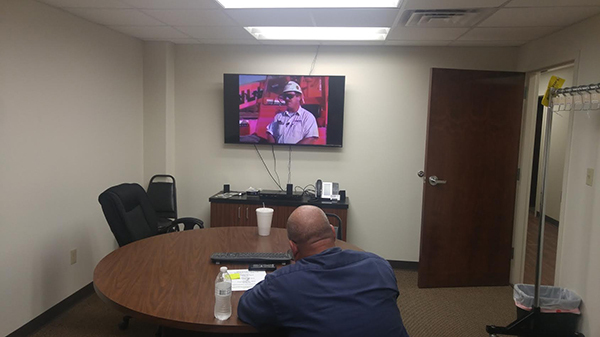 We can even do some of our training in the convenience of their homes ( if needed ), but that is what makes us different from the rest, we will try our best to get your employees set up with the proper training and credentials they will need for the job site. We also have different prices for administrative needs. They can vary from out of town costs to in town costs, hourly costs, emergency after hours cost and per diem cost if an overnight trip is expected. please call me at 361-510-2453, I will be glad to email you our price list to suit your needs and serve you and your company the best way that is needed. Option # 1: We can charge a monthly subsidy charge to include safety visits, safety meetings, and any training available from Downshift Safety. We can also customize your training to fit your companies needs like an orientation program. For a set price, we can invoice you monthly, and get started after first payment is received. Option # 2: All training and any administrative needs will be charged as the need arises and come directly from the price list that will be supplied to you when requested. As we grow, we intend to add more classes, right now we specialize in small classes and I also do one on one training if your employees need it for the next morning. We can meet with your employees anytime. We do a variety of classroom, hands-on, and written exams for you to put in an employee’s file. They will also receive a wallet card to show proof of training on the job site before operating any equipment of any kind. We can also meet with your employee after hours if they need training in a hurry for next day if they call and set up an appointment. We understand things come up at the last minute, we try our best to help you in a crunch. We offer several options. If you only have 3 to 5 people we can offer training in our home office, sometimes bigger classes require us to come to your facility or even rent a suitable place for the training to take place. We will provide our own equipment needed to complete the training such as computers or projector, sometimes even pa systems to do large classes. Can be consuming and cost valuable time. We can customize a program for your company or deliver a program you have in place and free up your personnel to use their time more wisely. general construction orientation ill cover administrative contacts, supervisor contact, fall protection, Hazard communication, lock out tag out, Behavioral safety Thought process, and any specialty training needed to perform certain tasks such as Arial lift safety. We can visit your site as you need to make sure you are following the OSHA standards. This is imperative for Site Supervisors and managers to know what is going to cost them in injuries or fines. A site audit form will be turned into the site supervisor, so he can have an opportunity to correct any problems discovered and corrected before and accident happens or an OSHA inspector shows up onsite costing the company direct and indirect charges that could break a company and ruin them financially. This course teaches employees to break habits that have been developed, we teach the student to recognize developed old habits and work in a safer manner by using Job safety analysis, we focus on teaching the students to know the task at hand, what danger is present with each task, and how to apply a control measure to each task. We like to have the students see the JSA or THA as an asset and not a burden. In the event OSHA would show up to your site, we will be willing to drop what we are doing and be your eyes, ears and voice to walk through the site with the inspector. This can make a huge difference in abating problems before the OSHA personnel leave the site and could be the difference on fines or abatement solutions. Root cause investigations or analysis is done after an unwanted incident, we can determine the how when and why the incident took place and refer you to a solution that will prevent it from happening again in the future. Sometimes OSHA may allow time to allow abatement measures, this is where we can help with site preparations for a follow-up visit. This could make all the difference in the cost of a serious violation of 14,000.00 dollars or a willful violation of 130,000.00 Dollars. This is where we work together, with your workman’s comp carrier and determine what your risk for hire is. this term EMR is usually used when you are bidding work, it gives the hiring company a snap shot or your injury history over the last 3 years of operation. We can sit down with you and show you how to calculate your total recordable injury rates for your OSHA 300 logs, or we will be happy to do it for you if you don’t feel you can. This information is only required if you have more than 10 employees in your company, but if it is done incorrectly, it could cost your company valuable time and money to correct. We will be happy to prep, monitor and post your log for you throughout the year. If you’re not sure what injuries need to go on the log and what doesn’t, this could cause you to have false information and not only receive an OSHA citation but it can cause your EMR ratio to be false. This could have a huge impact on jobs you want to bid in the future if your EMR is considered too high. We can always write a customized safety policy for your business or individual plans for your operations. We can also do site specific plans such as fall protection or site safety plans.